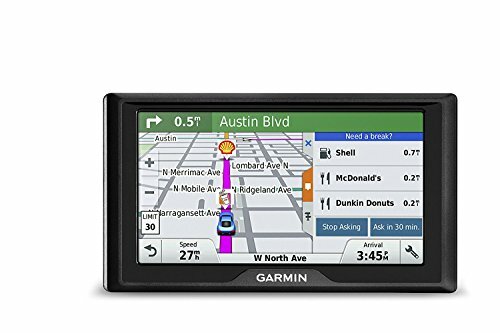 Garmin Drive 60 USA+CAN LM is a 6-inch GPS navigator featuring spoken turn-by-turn directions, lifetime maps of the U.S. and Canada, plus the latest in Garmin driver alerts to increase situational awareness and encourage safer driving. Features new driver alerts for upcoming sharp curves, fatigue warnings, speed changes, railroad crossings, and so much more. Receive alerts for nearby red light and speed cameras. Garmin Real Directions feature guides using landmarks and traffic lights. Preloaded with millions of more new and popular places thanks to Foursquare. New driver awareness warnings make Garmin Drive the watchful companion to your daily commute.